Love After Lockup shows Scott and Megan played by Lizzie and Michael. Viewers know that Michael is double-dealing, and Lizzie continues to run up charges on a broke Scott. Lizzie is high-maintenance and doesn’t know about Scott’s financial woes. Meanwhile, Megan knows nothing of Michael’s double life. Love in the real world is a completely different ball game. The first thing Lizzie does after getting out of prison is go on a shopping spree. That’s understandable since she spent the last 10 years in prison. On the other hand, spending over $100 on lottery tickets isn’t the wisest of decisions. She pushes a broke and very in debt Scott deeper in the hole. 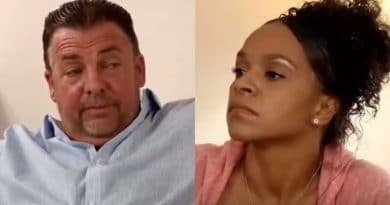 There’s definitely a level of awkwardness going on as Scott and Lizzie’s daughter compete for her attention on Love After Lockup. Lizzie ignores Scott on Love After Lockup. 10 hours later, this leads to a fight. On the one hand it could be Lizzie taking advantage of her first full day of freedom. However, it also looks like she’s taking full advantage of Scott as well. It’s unknown at the moment what the future holds for these two, but things clearly get off to a rocky start. 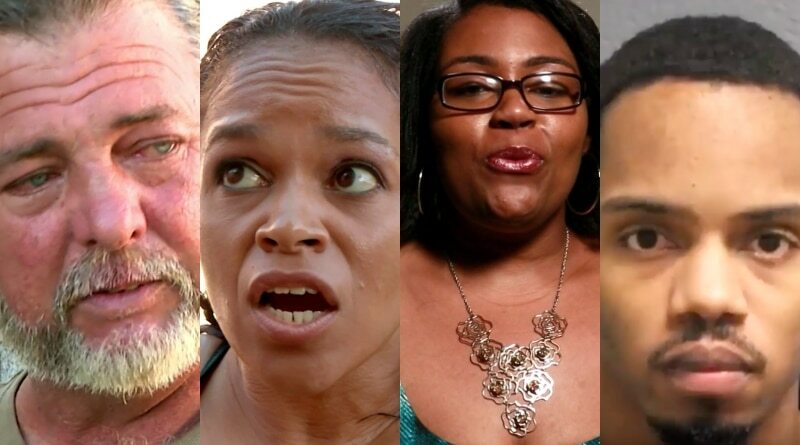 Love After Lockup viewers are aware that Michael is playing two women. At this point in the season, neither of the women are aware of this. Just as Megan is about to board the plane to come see him, he tells her not to come. Viewers already know that the mother of Michael’s baby, Sarah, is on her way to pick him up. Michael tells Megan that he has some things to take care of, but doesn’t tell her anything more than that. What happens in the next Love After Lockup episode should be interesting. Is Michael going to break it off with his baby mamma and choose Megan? Is Megan going to be the one heartbroken when she finds out that Michael is juggling two women? Either way, the truth is going to come out and someone will be heartbroken. Michael and his baby mama were married in prison. This adds another layer to the already seedy storyline. On top of this, Michael has a daughter. There are a lot of loose ends here and certainly a lot of lies. At some point Michael’s lies are exposed on Love After Lockup. It will be interesting to find out what happens on future episodes. As far as Lizzie goes, she mentions this week that she’s already toning it down with Scott. If he’s already insecure and having a hard time while she’s toned down, he may not be able to handle her when things get turned up. Right now Scott looks more like her latest trick than her forever. Watch all-new episodes of Love After Lockup Fridays on WE tv. Come back soon to Soap Dirt for lots more Love After Lockup news, spoilers, and leaks. 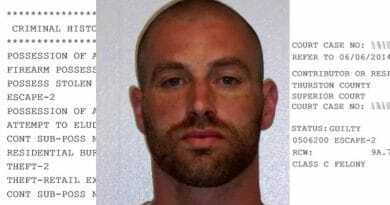 ‘Love After Lockup’: Matt Escapes Jail To Visit His Newborn Baby Boy?